Apple is exploring the possibility of using modem chips from Samsung and MediaTek for a 5G-enabled version of the iPhone. The revelation is the latest to emerge from the US Federal Trade Commission’s (FTC) antitrust probe against Qualcomm, which is accused of engaging in anticompetitive behaviour to maintain its dominance of the modem market. Qualcomm was the sole supplier of iPhone modem chips between 2011 and 2016, before Apple split the contract with Intel. Intel became the exclusive provider to the iPhone in 2018. Reuters reports that Tony Blevins, head of Apple’s supply chain, told a court in San Jose, California that it was general practice for the company to look at between two and six suppliers for every component. However, it signed an exclusive agreement with Qualcomm because it offered unspecified patent rebates in exchange. He added that Apple had looked at using Intel chips for the iPad Mini 2 in 2013 but abandoned the idea because it would be required to forfeit those rebates. The relationship between Apple and Qualcomm soured soon after, and Intel joined the fray soon after. Apple is still keen on having multiple suppliers, hence discussions with Samsung and MediaTek, even though Blevins admitted that having to deal with Samsung was not ideal due to the fact the Korean giant is the world’s largest smartphone manufacturer and a key rival in the market. Blevins did not offer any indication as to who would become the 5G modem supplier and when the 5G iPhone would arrive. It is widely thought Apple will wait until 2020. As part of the same case, Qualcomm CEO Steve Mollenkopf defended a $1 billion incentive payment made to Apple in exchange for exclusivity. He said that Apple had insisted on a payment – meant to ease the technical costs of switching to Qualcomm’s components – without guaranteeing how many chips would be bought. Mollenkopf said it had wanted exclusivity to ensure that Apple would purchase enough to make the payment viable. Antitrust investigators argue this payment is a sign of abuse of market position, something Qualcomm denies. Apple and Qualcomm are engaged in their own wide-ranging legal dispute. 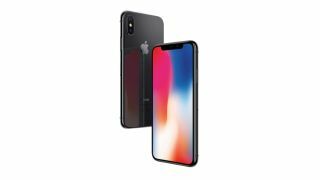 Qualcomm has frequently claimed Apple has violated its patents, while Apple says Qualcomm is abusing its dominant position in the market and charging extortionate fees.